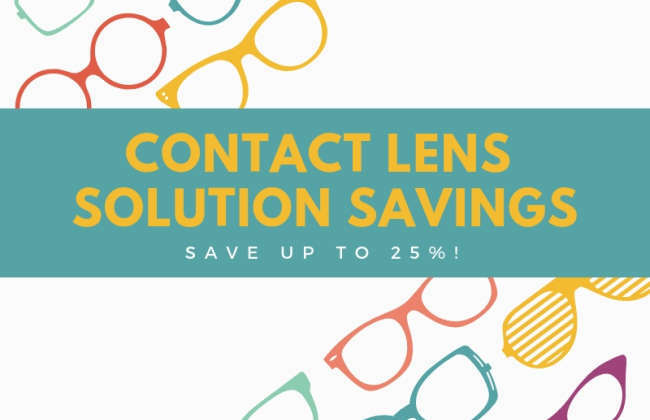 Receive 25% off a 1 year supply of contact lens solution with the purchase of a 1 year supply of contact lenses. Receive 10% off a 6 month supply of contact lens solution with the purchase of a 6 month supply of contact lenses. *Solution and contact lenses must be purchased at the same time.